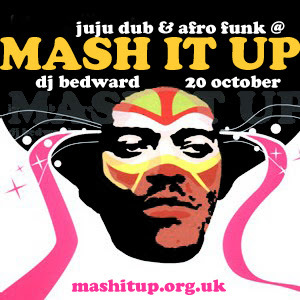 Take yourself off to the Matsuli Podcast page and pick up a mix of tunes I used at last weekend's Mash It Up! Thanks again to Baldy and Ken for the DJ relay and for those that made it out midst the sporting fever of the rugby world cup. Love a mashed-up DJ set that goes deep into the ultra groove. Bedward is indeed the musical flying preacher!